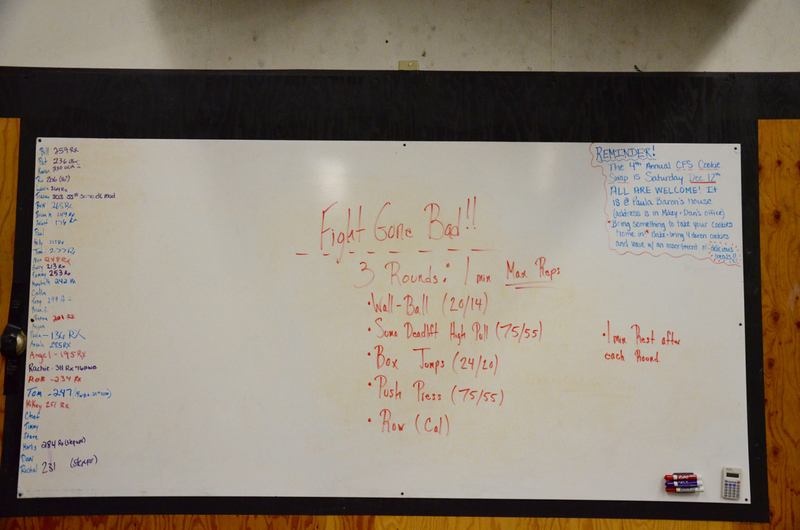 The noon class during their first round of clean & jerks. Welcome back for the summer Zach! Brian, Dani and Maeve on the first 400 meter run.